As the ITC celebrates its fortieth anniversary, at The Pied Piper Theatre Company we are also reaching a milestone birthday. Founded in 1984 by Artistic Director, Tina Williams, this is our thirtieth year touring new writing for children. With thirty years of tours around schools in the south-east region, and theatres across the UK, productions in the Fortune Theatre in the west end, and a production show in Singapore, we have a lot to reflect on. For the first twenty one years, the indefatigable Tina seems to have written, produced, directed, tour booked, and managed the tours as a sort of amazing theatrical one woman band. I joined Pied Piper in 2005 as freelance associate director, ushering in an era of collaboration with many other associate artists we are proud to include in our Pied Piper ‘family’. It is fundamental that all who work with us gain artistically, working in a supportive environment where their ideas and experience are equally valued. But it is also vital to us that they are fairly paid. Our ITC ethical manager status is a badge we wear with pride. The sector has changed enormously in our thirty years – originally our productions were filling a gap in the market, but there has since been a blossoming of children’s theatre companies. This growth in the sector has proved revitalising to our work. And the ITC has been instrumental in providing opportunities to meet, share and learn from our peers; helping us question and distil who we are as a company and where we want to go, as we look to the future. We face a risk averse culture that has naturally developed in the wake of the recession and funding cuts. Tour booking has certainly become more challenging. 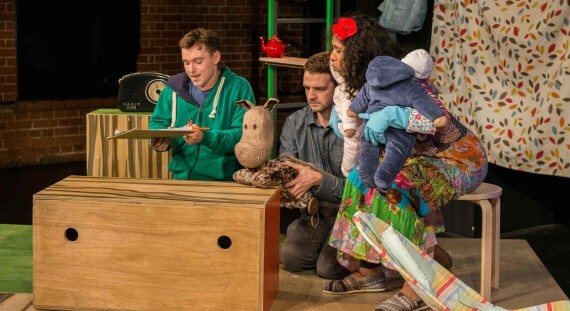 There is rarely money to be made from small scale children’s theatre, so venues understandably favour known characters, and adaptations of popular books. We have produced many original adaptations over the years; but we also continue to push new writing, new ways of telling stories, new ideas –in what can sometimes feel like the face of adversity. Because we believe children deserve challenging diverse theatre. They deserve the new; to encounter theatre that reflects their lives, inspires, and raises difficult questions. They deserve choice; the variety of theatre adults enjoy, including new writing.